When is a debt collector not a debt collector? Answer: When it's a bank that has purchased defaulted loans, hoping to collect a few pennies on each dollar. That's the gist of a Supreme Court ruling today. 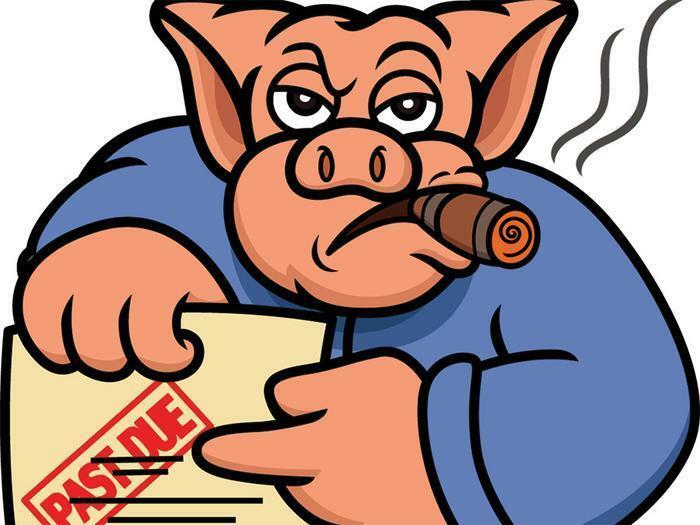 The court found that the Fair Debt Collection Practices Act (FDCPA), which prohibits debt collectors from harrassing or publicly shaming debtors, doesn't apply to banks. Writing his first opinion since being confirmed to the court, Justice Neil Gorsuch wrote that a debt collector is someone who is trying to collect a debt for a third party, whereas a bank is collecting on its own behalf. The case before the court -- Henson v. Santander Consumer -- was filed on behalf of consumers who financed cars through a Citi subsidiary, then defaulted on the loans. The cars were repossessed and sold, but most borrowers still owed money to Citi since they had owed more on the cars than they fetched at auction. Rather than hire a traditional collection agency, Citi sold the debts, $3.5 billion worth, to Santander, which immediately began hounding the one-time car owners. While it might sound silly, or even outrageous, to say that someone trying to collect a debt is not a debt collector, the Supreme Court is merely the latest to chime in on that side of the argument. A district court in Maryland and the Fourth Circuit Court of Appeals had previously come to the same conclusion. Or, as Gorsuch put it in the unanimous opinion, "All that matters is whether the target of the lawsuit regularly seeks to collect debts for its own account or does so for ‘another.'" Since Santander had purchased the debts from Citi, it was collecting on its own behalf and therefore was not covered by the FDCPA, the justices agreed. In its opinion, the court noted that it might be perfectly reasonable to think that the FDCPA should apply to everyone who collects debts but said that is not how Congress wrote the law that established the act.